With a smooth unique tone and an incredible vocal range of four and a half octaves, accomplished singer, songwriter, actress and musician, Chelsea has made her mark on the Australian music industry complete with graceful stage presence and wonderful versatility. With 15 years training in voice, drama, jazz ballet, tap, piano, drums and harmonica, Chelsea's ability to cross genre boundaries has kept her busy on the stage throughout Australia and South East Asia where she is equally at home singing cool jazz, heartfelt blues or heavy rock. Born and nurtured in Perth, Chelsea began her training at three years of age attending the WA Academy of Dance and Drama where she would spend the next fourteen years studying voice, drama and various forms of dance, including ballet and tap. She began her training as a musician at the age of seven, studying 'The Suzuki Method' for classical piano to grade 6 . It was her father, well known Perth musician Trevor Gibson who taught Chelsea to play the blues on the keyboard and harmonica. Chelsea has supported Jose Feliciano, the Black Eyed Peas, Jimmy Barnes and Air Supply as well as working with Miles Davis and James Morrison. She brings an energy to the stage whenever she performs that captivates her audience drawing them to her powerful voice and warm smile. The new millenium has seen Chelsea on a roller coaster ride of teaching, touring, performing, writing and recording. 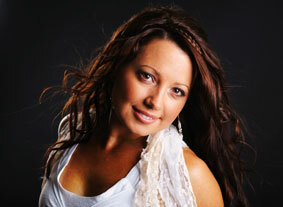 Chelsea recently released her debut album Enjoy the Journey, an eclectic blend of jazz and blues derived anthems. Perth Sound Recording Studio's fully air conditioned, purpose built sound proof facility is ideal for most types of recordings. The studio has particularly good sound attenuation making it excellent for song making, radio commercials, audio files for video backing, narration, meditation CD's, audio presentations, etc etc. Using high quality microphones, quality digital equipment and the latest software we are geared to mic up from a single instrument, or a vocalist to a complete multi track drum kit. Your special project can be enhanced with a diverse range of post mixing options to give you a superbly mastered result. We can deliver you audio files in most audio formats, either recorded raw and untouched, or edited and normalised. Research suggests that regularly playing an instrument changes the shape and power of the brain and may be used in therapy to improve cognitive skills. Experts said there is growing evidence that musicians have structurally and functionally different brains compared with non-musicians - in particular, the areas of the brain used in processing and playing music.